Welcome to The Whole Brain Foundation. We are on a mission to revolutionize healthcare. Recovery from illness and injury requires the whole team. When providers, patients, caregivers, and friends work together, they are more effective than when they work apart. Healthcare systems currently lack a method for helping patients and families form plans and manage complex treatments. The Atkinson Protocol is a 12-step framework that helps guide patients and families from illness and injury through recovery. We conduct educational research to unlock the personal health potential in all of us. We learned how to beat the odds against a devastating illness and recovery. You can learn too. It is Charlie Atkinson here in Cambridge. Thank you for all of your support. It was your support from 2012 to now that helped me return from West Nile Virus. In June 2018, I was featured on “Tales from the ICU” that captured my journey of recovery by Channel 5 TV WCVB in Boston. It was with your encouragement that I established The Whole Brain Foundation, Inc. in 2015, to study these remarkable and improbable health journeys and begin to share them in collaboration with the whole world. We are happy to report on our progress in 2018. I want to invite each of you to engage with us to help our research and development, so that everyone will have a thinking toolbox to improve health for longer and higher quality living. Our research on the process to improve thinking and problem solving for wellness is based on The Atkinson Artificial Mind. This is a visual representation of learning architecture that maps to the biological, physical, and virtual worlds. We have conducted Bootcamp Training for wellness as our proof of concept project. Data from these bootcamps, some of which are presented in section 4 of this report, will be populated with patient data. This innovative 5D conceptual framework will become digital prototype. Patients will be able to create their own Personalized Wellness Protocol using this framework, results can be shared over the web in The Whole Connected Health System. We’re starting small. We launched our sixth proof of concept “Fix What ALZ You” Six Month Bootcamp Training on July 1st. With two unwell but committed participants. The Bootcamp serves as a testbed to combine people, process, and prototype. Our goal for the bootcamp is to keep improving the health of participants while trying the many promising but still unproven, unaccepted, or underutilized interventions to see what works to reduce pain and dysfunction, and promote wellness. Six years into his recovery from neuroinvasive West Nile Virus, Charlie, soon to be 82, has overcome dire predictions and death defying setbacks. He is now functioning both at home and away but with still much more wellness to be accomplished. Arnie is caring for his 38 year old son Derek, who suffered from Lyme Disease and then stroke resulting from open heart surgery. After Spending nine months, immobile and mute, he is beginning to benefit from stem cell therapy and HBOT. Optimism and hope are returning to Arnie and Derek. Here is the progress report for Alpha Test Charlie and Beta Test Arnie/Derek, showing sample results of specific improvements from the multiple interventions during the Bootcamp. Thank you to all who have made our research possible and successful. Charlie Atkinson’s Bootcamp at Spaulding Rehabilitation Hospital, Cambridge for WNV cost $1,000,000 a year. Our next and seventh Bootcamp for chronic critical illness with long term acute care patients transitioning from hospital to home. We are combining the results of our Bootcamp with the digital prototype. Our goal is to have a strong curriculum and capacity for more patients in 2019. With disrupting exponential innovation, our Massively Transformative Purpose is: Bootcamps for 5B patients at $100 a year —10,000 to 1 cost reduction! We invite you to engage with us and our research. Your help will enable us to continue our bootcamps with an ever-growing waiting list of eager participants. Your donation will make it possible for everyone to build their own Personalized Wellness Protocol. The Whole Brain Foundation, Inc.
My Merry Christmas 2016 present to you is the promise of a 3-D Whole Brain Artificial Mind as a Digital Prototype of “CharliesConceptualCube” for delivery December 25, 2017 to the whole team. The 2-D Whole Brain Model has been enormously successful and has transformed the lives of millions worldwide. I’m inviting my Friends to join in a fundraiser to transform the MOCKUP of the Whole Brain 3-D Artificial Mind of 2016 into a DIGITAL PROTOTYPE for Christmas 2017. I’m seeking to raise 100K for 2017 and asking you to collaborate. I’m sending along a report of progress and a request for support for the mission and vision of The Whole Brain Foundation, Inc.
My 80th year has met all expectations. My recovery and rehabilitation has resulted in the invention of something new under the sun: a 3-D Whole Brain Artificial Mind that integrates Creativity in problem solving with Humanity and Technology. It will help Human Intelligence communicate with Artificial Intelligence. I call it “CharliesConceptualCube.” CCC’s promise is to increase Human Intelligence many magnitudes by providing a tool to improve thinking in the three dimensions of Creativity, Humanity and Technology. It will change the paradigm for “thinking” for smarter persons and smarter phones. It is a common denominator and conceptual framework that builds on and improves upon the 2-D Whole Brain Model in our current logo. This new improved mental framework has led to unexpected and astonishing successes. We now have a mockup on the dining room table that is constructed of cubes. It looks like the streets of Manhattan. Our strategy is to create a digital prototype that all can view, manipulate, and explore — right there on their smartphones. It’s a “mindshot” moonshot. We’ve completed our initial organizational work, partially funded with member dues, in order to exploit this research breakthrough. We’re now a 501(c)(3) non-profit with an outstanding board of directors, advisors and staff. They serve on a volunteer, part-time or free-lance basis. Paid workers wait in the wings — ready to go in 2017 when we will seek research contracts after raising our seed capital. Questions you may have about The Whole Brain Foundation, Inc.
MISSION: What are your Goals and Mission?To invent this new tool for thinking, or CCC, I must first realize the spatial roadmap problem-solving process from the back to front of the brain dimension for Creativity; second, provide a left to right horizontal dimension for the identifiable networks of Humanity; third, map the bottom to top vertical hierarchy of knowledge interconnections of Technology. The 3-D Whole Brain Artificial Mindis a common denominator conceptual framework. It will add pattern-recognition to alphanumeric thinking and computer processing for five billion humans and as many smartphones by 2020. VISION: What is your Vision and Strategic Plan? “CharliesConceptualCube”is now a mock-up with eight 5x5x5 Rubik’s Cubes configured as an imaginable city — with a dome, streets, buildings, three dimensions, five divisions, six directions, and eight buildings plus basements yielding 1000 rooms. The CCCDigital Prototype (DP) will use Artificial Intelligence (AI) to build an Artificial Mind (AM). Each room is a memory palace that augments Human Intelligence (HI). The DP is the most critical step in developing and sharing CCC. Research: Continue the 3-D exploration of the Conceptual Framework for the Human Mind – a tool to improve thinking with Creativity and the connection between Humanity and Technology. CCCis the research result of startup proof of concept projects —— successful health, learning, and business applications — for individual, social, organizational, political and civilizational problems, challenges and opportunities. The Directors, Officers and Advisors: Charles Atkinson, President and Founder; Malcolm Mackay JD, Russell Reynolds Managing Director; Gene Keluche, MBA Chairman Native American Sports; Buks Moolman, CPA,CA(SA), ACA(CA)SA), CGMA, Treasurer; Advisors: John Winthrop, MBA, Malcolm Peabody MBA IssueOne, Charter Schools Washington, DC; Andrew Farrar, Entrepreneur; Tyler Richard AB Harvard Teaching Fellow; Francis deMarneffe, MD President Emeritus McLean Hospital. Products: A digital prototype of CCC, envisioned as the streets and buildings of Manhattan, configuration of eight cubes; learning how-to learn and think curriculum; a database learning system platform; simulations, games and toys; and a set of standards to be co-developed and shared through a consortium. I look forward to hearing from you and meeting in the New Year to discuss the many ways we can change the world for the better. On March 21, 2017, 15 people gathered in Cambridge to solidify the framework requirements for a visual representation of the mind as a digital prototype.Progress continued since that gathering, and at a May Day event this month, we celebrated the first Digital Prototype of The3DMind. Our principal investigator, Hugh O’Donnell, Professor of Painting at the School of Visual Arts at the College of Fine Arts at Boston University, and his student, Hyoseok Kahng, helped us build this prototype using Google SketchUp Pro 2017. We’re now turning this visual representation of the workings of the mind into an interactive pattern recognition user interface. It will serve as a connection tool between the brain and body, and between the mind and computer. To better conceptualize what this means, think how Windows, iPhone, Android, or any other Internet Operating System serves as a hub for other applications, to run on the World Wide Web with applications like Word, Excel, Facebook, Twitter and even Uber. There is little that these hubs cannot do. With the Framework of The3DMind visualized as a city that mirrors the way the brain intuitively works with both language and pattern recognition, people will improve control of their own thinking processes. Why is this important? The next stage in the development of the digital prototype is to make it interactive, so that we will all be able to explore first-hand the benefits of this tool. Think about it. When we can virtually touch and manipulate it ourselves, then we’ll understand the promise of The3DMind for visualizing categories of people and things, for organizing layers of knowledge and imagining next steps in the past, present and future. Your championing this phase of the project will enable us to solicit grants from foundations and innovative research groups. Corporations will provide opportunities for Demonstration Projects. Our future lies in the inevitable emergence of three-dimensional artificial intelligence, augmented reality and machine learning that is transforming our world. The3DMind will assure that the human brain and body are critical aspects of this augmented, virtual and mixed reality. What do we need from you? Currently, our start-up expenditures are $3,000 per month. Generous gifts of $10 to $100 or even more $1,000 or even more will help cover these operating expenses and allow us to continue prototype development iteratively to prepare and market proposals for grants and contracts. We are grateful for every contribution you extend during this May and June Campaign. Our giving page is on our website TheWholeBrainFoundation.org/donate. Please consider a tax-deductible donation by sending a check payable to The Whole Brain Foundation, Inc. Developing a strategy requires an honest analysis of the problems, challenges, and opportunities facing the road to recovery. The first step to setting your goals is to identify interests, preferences, and passions. 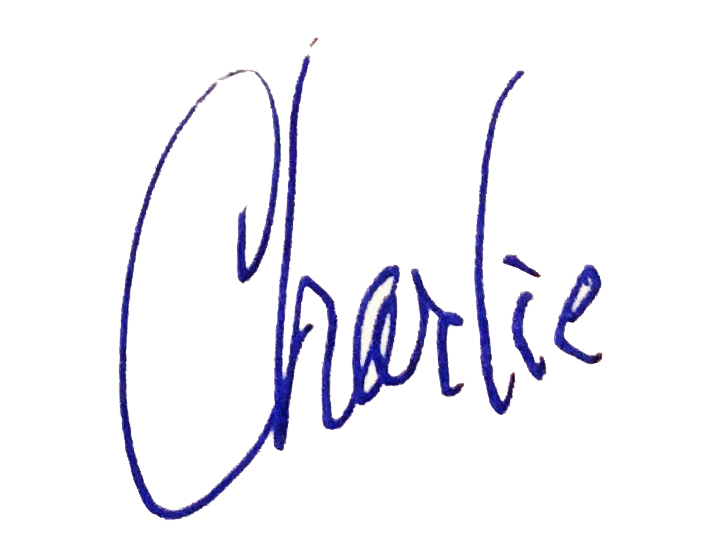 In August of 2012, Charlie Atkinson was bitten by a mosquito in the garden outside his home in Cambridge, Mass. With an incubation period of 2 to 14 days, only one in five people infected will develop symptoms, most commonly fever, body aches, joint aches and other relatively minor ailments. Less that 1% of infected individuals develop serious and at times fatal neurologic illness, including encephalitis and poliomyelitis. Charlie was one of them. Within a week, he was in a coma, and his predictions for recovery were dire. December 2012. Becoming a smarter patient. Mobilizing resources including smart technology to research cures and find affordable care at home. The second step is to identify who’s on the team what each person can contribute and how best to do so. The third step is to identify your culture and values. The final step to setting health goals is to identify your purpose and mission — it can take some time to iron out between all of the roles, responsibilities, and relationships. A 12-step framework for patients, caregivers, families, and friends to formulate plans and work effectively with healthcare providers. Recovery from illness and injury is a journey. Charlie Atkinson’s journey of beating the odds against West Nile Virus infection is the alpha test for a revolution.